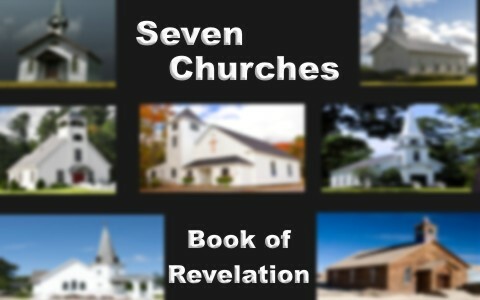 When you study the Book of Revelation, one of the first things that you will look at are the seven churches listed in Revelation chapters 2 and 3. There you will see seven actual letters from Jesus — one to each church. In the letters He applauds and chastises each church and He offers them advice on how to get back on track. Much of the dialog is directed towards the leaders in the churches regarding the way the truth is being taught, or not. All of these seven churches mentioned in Revelation chapters 2 and 3 are literal churches that were located in Asia Minor. These churches were planted and cultivated by the Apostle Paul, with the church at Ephesus being the lead church. Though the letters are written to the seven churches in Asia Minor, there are considerable parallels to the churches in today’s church age. The study of the seven churches can be very large and in depth. For the purposes of this article, I share a summary of the seven churches in the Book of Revelation. Key Passage: Revelation 2:2–3 I know thy works, and thy labour, and thy patience, and how thou canst not bear them which are evil: and thou hast tried them which say they are apostles, and are not, and hast found them liars: And hast borne, and hast patience, and for my name’s sake hast laboured, and hast not fainted. Key Passage: Revelation 2:10 Fear none of those things which thou shalt suffer: behold, the devil shall cast some of you into prison, that ye may be tried; and ye shall have tribulation ten days: be thou faithful unto death, and I will give thee a crown of life. Key Passage: Revelation 2:13–14 I know thy works, and where thou dwellest, even where Satan’s seat is: and thou holdest fast my name, and hast not denied my faith, even in those days wherein Antipas was my faithful martyr, who was slain among you, where Satan dwelleth. But I have a few things against thee, because thou hast there them that hold the doctrine of Balaam, who taught Balac to cast a stumblingblock before the children of Israel, to eat things sacrificed unto idols, and to commit fornication. Relation to Today’s Church: Churches that endorse and promote political agendas or secular practices that are against what the Bible teaches as truth. Key Passage: Revelation 2:20 Notwithstanding I have a few things against thee, because thou sufferest that woman Jezebel, which calleth herself a prophetess, to teach and to seduce my servants to commit fornication, and to eat things sacrificed unto idols. Key Passage: Revelation 3:5 He that overcometh, the same shall be clothed in white raiment; and I will not blot out his name out of the book of life, but I will confess his name before my Father, and before his angels. Key Passage: Revelation 3:8 I know thy works: behold, I have set before thee an open door, and no man can shut it: for thou hast a little strength, and hast kept my word, and hast not denied my name. Key Passage: Revelation 3:16 So then because thou art lukewarm, and neither cold nor hot, I will spue thee out of my mouth. Of all the seven churches in the Book of Revelation, there is only one that we should strive to be. When Christ is what we promote in the church we will continue to have opportunities to minister outside the walls. We must remember that our mission field begins the moment we walk out of church. We can never forget that our main job as a Christ-follower is to plant seeds so that others will follow as well. When we put Christ first we will be like that church in Philadelphia that Jesus had nothing bad to say about. When we stay true to God’s Word our testimony will convince others to want what we have. When our words and actions reflect Jesus, His light will draw others into the kingdom. Thank you, Pamela, I wish I had known of this web site when I was preparing for my Sunday School lesson for my 3rd and 4th grade class! Next post: How Human Was Jesus?